You are viewing the archived Health Insurance ratings. Follow the link to view the current Health Insurance ratings page. Compare health insurers in New Zealand with Canstar Blue’s annual review. Southern Cross Healthcare, Union Medical Benefits Society, NIB (including Tower) and Sovereign Assurance Company were compared on value for money, claims lodgement, claims process, claims outcome, quality of service, clarity of policy, communication, and overall satisfaction. * Overall satisfaction is an individual rating and not a combined total of all ratings. Brands with equal overall satisfaction ratings are listed in alphabetical order. Canstar Blue research finalised in January 2018, published in March 2018. For the second year in a row, Southern Cross Healthcare has been rated highest of New Zealand’s health funds, scoring five stars for overall claims satisfaction. Peace of mind in knowing you’ll be covered in the event of a medical incident is one of the main drivers for people to take out health insurance. Almost two-thirds of Kiwis (62%) like the peace of mind their cover gives them. This attitude is more prevalent in women (70%) than men (58%), and in baby boomers (77%) rather than Gen Y (53%), Canstar Blue’s survey of policy holders has found. And it seems their prudence may be well founded. According to the Health Funds Association of New Zealand, in 2016 a record $1.136 billion was paid out in health insurance claims, and the total number of people with a health insurance policy now exceeds 1.3 million – more than a quarter of the population. Unfortunately, health insurance premiums tend to only go in one direction. Indeed, 18% of survey respondents reported that they have had to reduce or change their policy to counteract rising premiums. This jumps to 32% amongst baby boomers. The cost of health insurance can vary greatly from person to person. Age, occupation, medical history, being part of a group scheme or an individual member, can all affect your premiums. We found that the average premium for women was in the region of $1,995 per annum, and for men this rose to $2,396. For baby boomers this was higher again at $3,765, dropping to $983 for Gen Y. Although there is a large disparity between the generations, this can in part be explained by the additional health risks associated with older age. Despite this, the number of New Zealanders over 65 taking out health insurance continues to rise and overall more than 90% of policy holders understand why their premiums may be increasing, the survey found. If you’re considering private health insurance, your first thought is probably to ask what advantages it has over New Zealand’s publicly-funded healthcare system. While the public system provides quality emergency services, patients who require important ‘non-urgent’ treatment may have to wait months or even years for an operation. On the other hand, private health insurance gives policy holders the confidence that they can receive the medical attention they need, when they need it. Health insurance is a safety net when you need it most, but which provider can you rely on to make the claims process as stress free as possible? Canstar Blue has surveyed health insurance customers across New Zealand to see how they rate their providers after making a claim in the last 12 months, and only Southern Cross Healthcare achieved a five-star review from Kiwis for overall satisfaction. To help you find the right health fund for your needs, let’s get an overview of the providers in this report to check out their credentials. As New Zealand’s largest health fund (provides cover for over 800,000 Kiwis), Southern Cross offers a range of health plans that cater for a variety of circumstances. Prices for essential cover begin from $1 a day subject to conditions. As a not-for-profit, Sothern Cross also claims that for every dollar it receives in premiums, it pays out 86 cents in claims (correct as of year ended 30 June 2016). 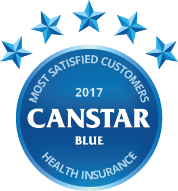 Southern Cross has now topped Canstar Blue’s health insurance customer ratings for the last two years. Professing to be New Zealand’s second largest health insurer, NIB offers a range of cover. From private hospital plans (covering surgical and hospital expenses) to every day health plans for day-to-day health expenses such as GP and dentist visits, NIB claims its mission is to help people afford healthcare when and where needed with world class products and services. Sovereign breaks its health insurance policies into two broad categories: Private health cover and private health cover plus. The standard policy covers surgical and hospital expenses, amongst other things, while the health cover plus product also includes access to specialist consultations and cover for diagnostic imaging and tests. This Kiwi not-for-profit mutual society has been operating since 1979. UniMed says it prides itself on its low cost premiums and comprehensive, straightforward health insurance plans, backed up by first-class service and fast, friendly claims turnaround. Canstar Blue commissioned I-view to survey 2,500 New Zealand consumers across a range of categories to measure and track customer satisfaction. The outcomes reported are the results from customers who have a health insurance policy (which they pay for) and have made a claim within the last 12 months – in this case, 927 New Zealanders.